One of my all time favorite Mariachi songs is called “Volver, Volver.” Loosely translated the title means “Come back, Come back,” and it symbolizes what I feel every time I leave Mexico. My heart always aches a bit and the words to that song run through my head. There is something remarkable about returning to a place that touches your soul. It’s never like the first time; it’s better. There’s a touch of familiarity that gives the impression of being welcomed back home. That’s how I felt about coming back to Oaxaca and Hacienda Los Laureles. On a map, the state of Oaxaca (wah-HAH-kah) can be found about 300 miles southeast of Mexico City. The entire region is filled with both natural and cultural beauty, but the centerpiece of the state is the magical Oaxaca City. Founded in 1532, the city is surrounded by the Sierra Madre del Sur mountain range and sits atop a highland plateau some 5,000 feet above sea level. And though the city is densely populated, it remains unusually intimate. Easily explored on foot, it has the warm and inviting pace of a village. There is a certain energy that radiates from the people and buildings, almost as if the past remains in the present. The city is widely considered one of the finest displays of Spanish colonial architecture in the entire country and was designated as a World Heritage Site by UNESCO (United Nations Educational, Scientific and Cultural Organization) in 1987. A total of 1,200 historic monuments remain throughout the city and surrounding areas. 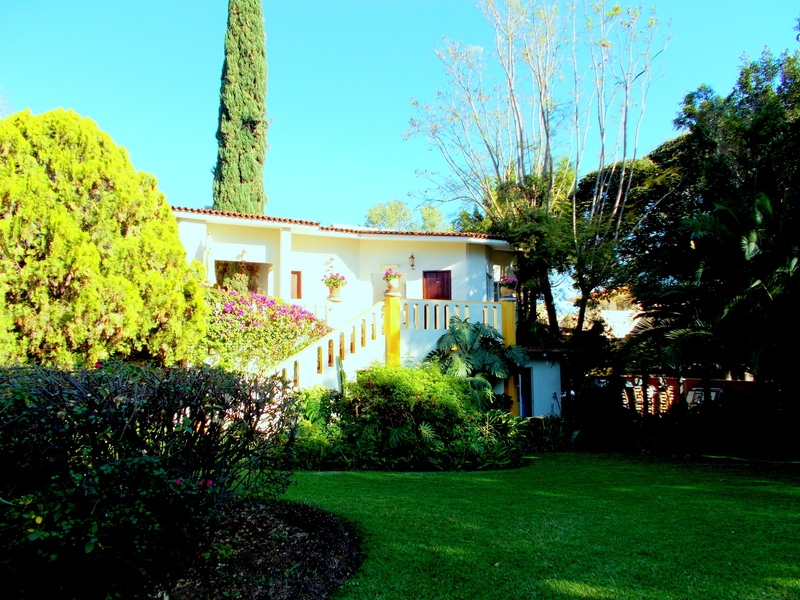 The charming and elegant Hacienda Los Laureles is located a quick 8 to 10 minutes from the zócalo (city center). Tucked away in the foothills, this hotel is a real gem. Built in the early 1800s, the property maintains its grand colonial style, while offering all the modern amenities. My first visit to the hacienda was back in 2001, and I was happy to discover it was even more beautiful upon my return. The lush and manicured gardens had matured even more and are now filled with blooming flowers along with huge cypress and mango trees. To add to the natural peacefulness of the grounds, a symphony of singing birds can be heard throughout the foliage. 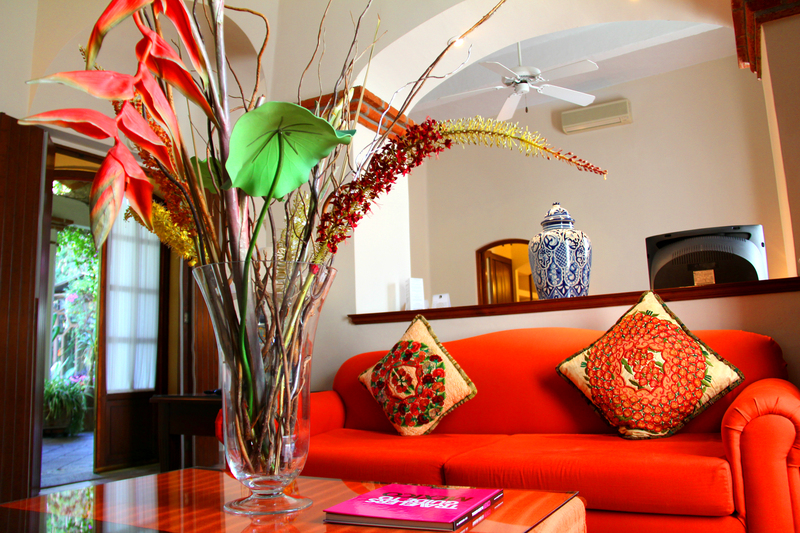 From the moment you arrive, it will feel as though you are in your own private hacienda. With a total of only 23 guest rooms (including four master suites and presidential suite), the service is very personal. Owner, Peter Kaiser, tells me, “We want our guests to have a unique experience here so the staff is always available to cater to their needs.” Peter has built his reputation on attention to detail and understands the importance of “the little things” that make a hotel experience memorable. Los Laureles is a member of the exclusive Mexico Boutique Hotels group, and received Four Diamonds from AAA. In addition, the hacienda was bestowed with the Tesoro (Treasure) Award from the Oaxaca State Government and an “M” from the Tourism Ministry presented by the previous Secretary of Tourism, Gloria Guevarra. The “M” is for “Modern,” but obtaining it requires exhaustive training and inspection. 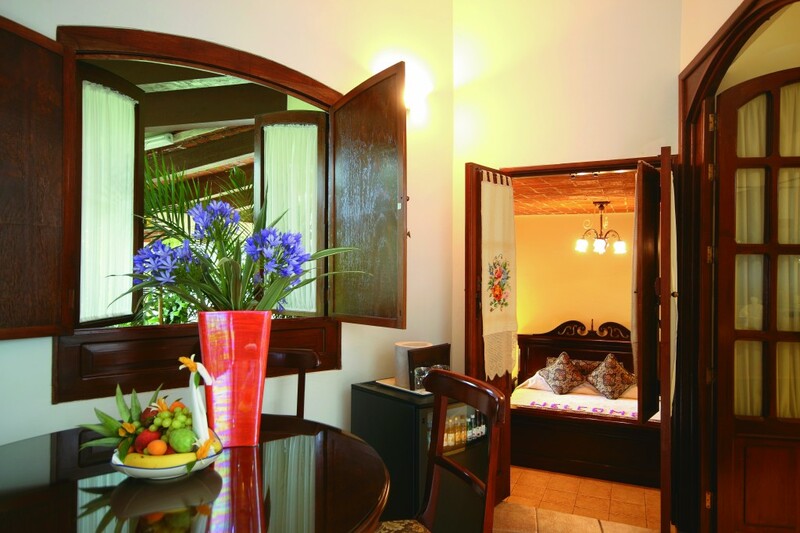 Each room and suite has its own look and feel. Keeping true to its historical roots, heavy wood furniture is accented with Mexican handicrafts, bursts of color and fresh flowers. The suites have big, comfortable beds and plenty of space. Everything feels special here. We were in Oaxaca celebrating my 50th birthday, so when we checked in, our bed was adorned with rose petals spelling out “Feliz Cumpleaños” (Happy Birthday). It was such a nice touch. There are small tables and chairs just outside your door are the ideal place to sip some coffee and take in the beauty of the garden and grounds. 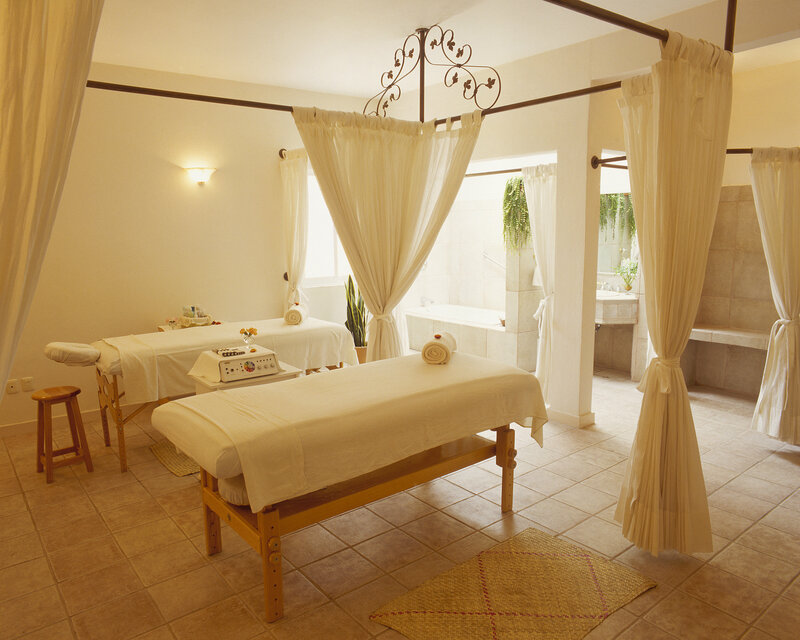 If you need a bit more pampering, stop into the Le Petit Spa for a memorable massage or refreshing facial. Or, take a spiritual journey in the temazcal. A “temazcal” is a traditional Mexican steam bath similar to the Native American sweat lodge. Los Laureles has a small one on the property that will fit three people. Ask at the spa for details. 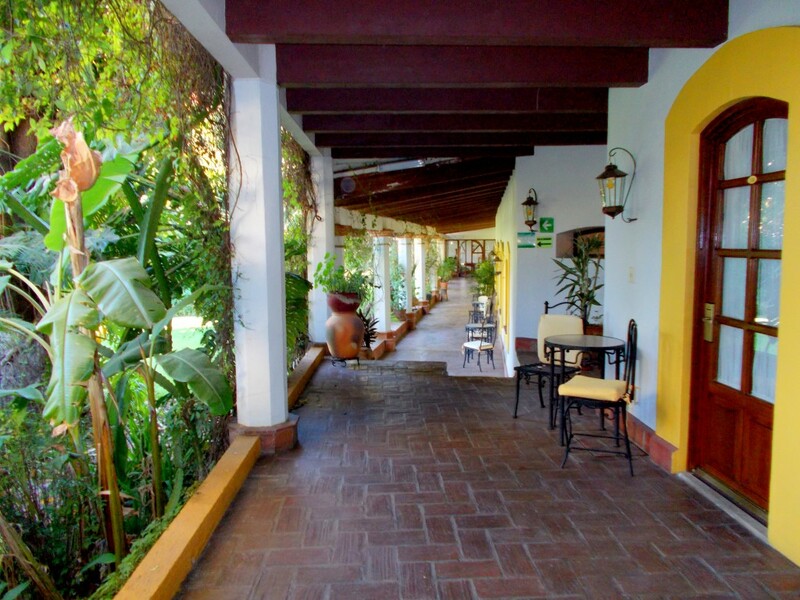 Though there are plenty of wonderful restaurants in Oaxaca, I must say that one of the finest in town can be found at the hotel – Los Cipreses. Upon our arrival, we were greeted with a candlelit table set in the garden and treated to an extraordinary meal. In fact, we were so impressed with the service and the food that we ate dinner on the property two out of the three nights of our stay. Chef Horacio Reyes is brilliant. Offerings range from the tasty Camarones a la Oaxaqueña (Oaxacan style shrimp with onion, garlic, mushrooms, tomato, mezcal and white wine) and an expertly prepared Filete de Res del Bosque (Filet mignon with mushrooms and herbs) to the amazing Ensalada de Nopales (sliced cactus with peeled tomatoes, onions and avocado) and the Canasta de Chapulines al Cilantro (basket of grasshoppers with coriander, garlic, onion tomato with guacamole and tortillas). 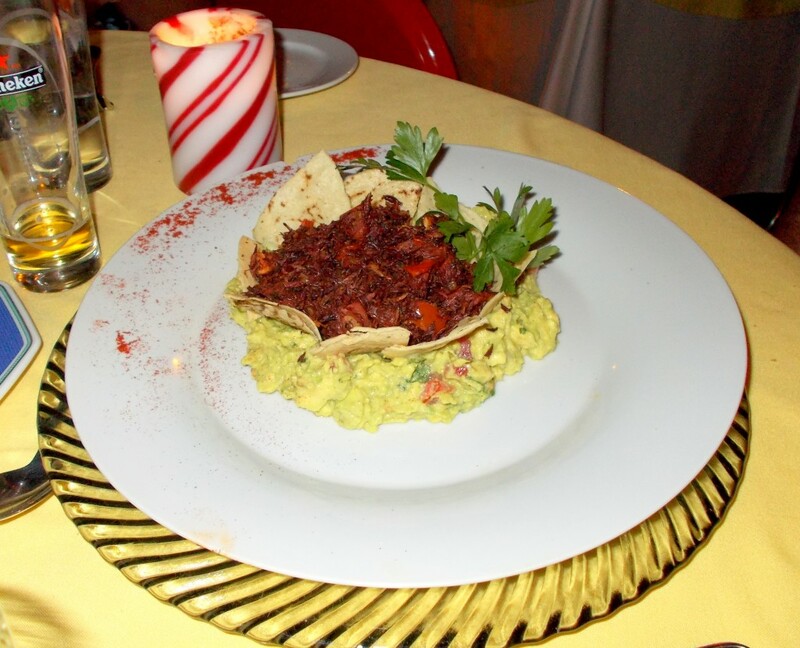 Yes, I said “grasshoppers.” They are a very famous dish in Oaxaca and a “must try.” Don’t worry, you will be pleasantly surprised! 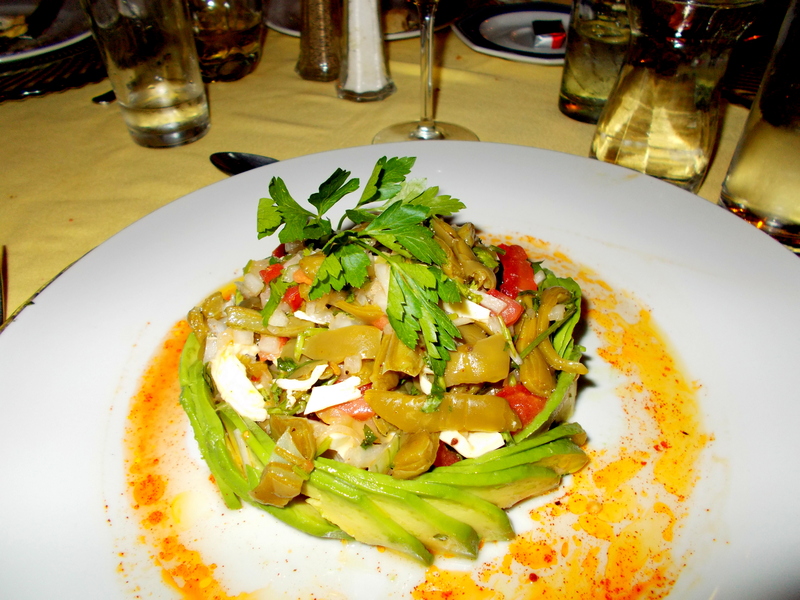 In addition, the Chef offers cooking classes that will give you insight into these unforgettable dishes. During our stay, their was a private birthday party being set up. 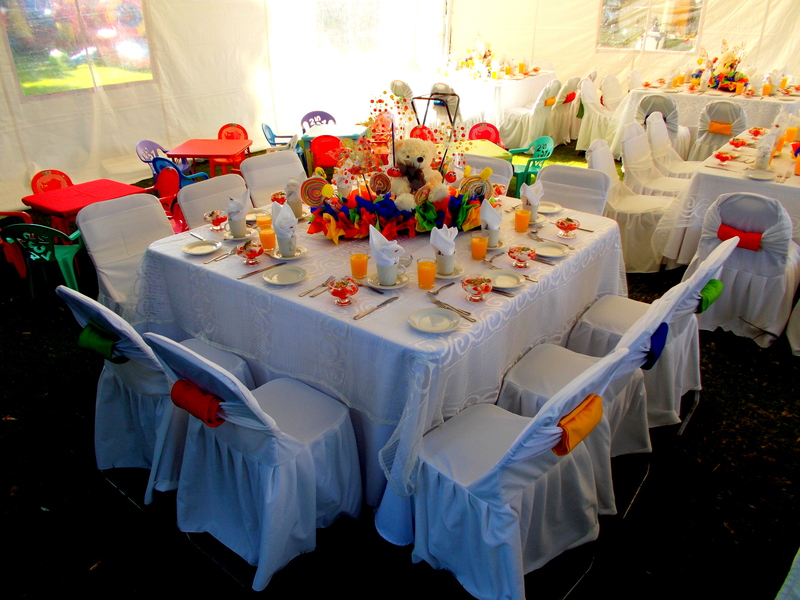 The tent and tables were festive and flawless. The hacienda is well known for hosting special events, meetings and gorgeous weddings. If you’re looking for an intimate and off-the-beaten-path place for your ceremony, you might want to add Los Laureles to your consideration list. The hacienda is also a premiere location to use as a jumping off spot to explore the region. The front desk can call for a taxi for trips in and out of the city and arrange any kind of tour (private or group) with an English-speaking driver/guide. 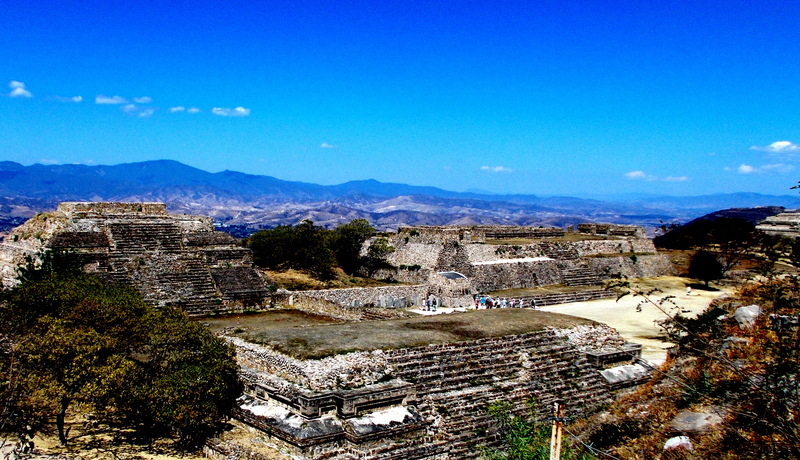 Be sure to study up on the area so you know what you’d like to see, but I would certainly recommend the archeological sites of Monte Albán and Mitla, and the artisan village of San Martin Tilcajete. My return trip to Oaxaca and Hacienda Los Laureles was outstanding. The service was brilliant, the room was perfect and I felt as if I was coming home. This is a place I know I will return to again and again and I know it will always be magical. For more information contact Sylvie Laitre at Mexico Boutique Hotels (sylvie@mexicoboutiquehotels.com ).